Hung Nguyen Came to our home during a Snoiw storm (my husband had to help get unstuck from the cul de sac). Was in time and gave us information to prevent our appliance from breaking down in the future. Lucas did a great job! 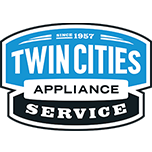 Very impressed and gladly call for any future appliance needs. RANGE KITCHENAID KFDD500ESS02 Installed new burner head and cap kit. Operation tested good. MICROWAVE WHIRLPOOL WMH31017AS2 Magnetron has gone bad. . Customer called whirlpool but they will not cover anything. Customer is going to shop for a new one. MICROWAVE WHIRLPOOL WMH32519HZ3 Arcing from the rack support with the upper rack installed. Per use and care guide only use the cooking rack if doing multi rack cooking. Customer will leave the rack out. Operation tested good after cleaning the support. ELEC DRYER WHIRLPOOL WED72HEDW1 "Install heater element checked over unit tested out good instruct customer about venting it needs to be clean out,, vent Wizards can do.."
ELEC DRYER WHIRLPOOL WED72HEDW1 "Element bad, fuses test ok, lint all over inside dryer, needs vent cleaned, paid in full; ordrng 1 WP8544771 (HEATER)"
REFRIGERATOR WHIRLPOOL WRT541SZDZ00 Installed new ice maker. Customer will keep an eye on ice production. REFRIGERATOR WHIRLPOOL WRS325SDHZ The cardboard guard underneath was vibrating on the condenser coil. Operation tested good after adjusting. REFRIGERATOR WHIRLPOOL WRT518SZFM Whoever changed the door swing forgot to put the nylon washer back under the fresh food door hinge. Operation tested good after putting the washer in place. MICROWAVE WHIRLPOOL WMH53520CS7 "Found f1-4 error, bad control, replaced control, unit now working ok"
MICRO/OVEN WHIRLPOOL WOC95EC0AS00 Installed new control. Operation tested good. Amana Dishwasher ADB1400AGS1 Nothing wrong with the unit. No error codes. Heater cycled on during test. Advised to use less soap and make sure to run tap water on hot before starting dishwasher.